Beautiful crochet edging. Works for t‐shirt necklines too, you think? From the Purl Bee. Simply brilliant. Have to dig into my seashell collection! From I Still Love You. Very well‐written, easy to understand tutorial from It’s Always Autumn. A trip to thrift store is in order! 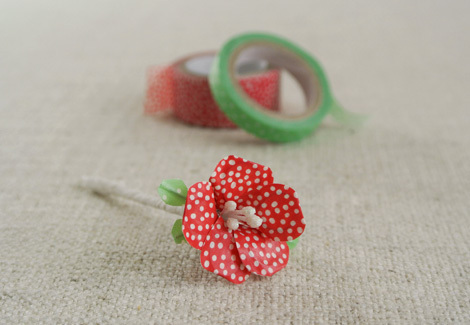 Washi tape flowers. Makes a nice pin! From Just Something I made. Very sophisticated men shirt refashion, with pleats! From Leafy Treetop Spot. 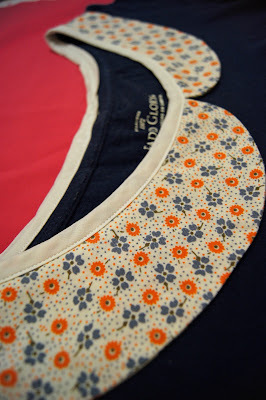 Also spotted on Leafy Treetop Spot was a tutorial for adding Peter Pan collar on a t‐shirt. 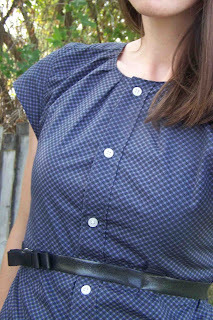 Not sure how I would look in it, but I think it’s a nice way to use pretty fabric scraps. Enlightening! Why didn’t I think of this before? From 13 Life Changing Ways to Eat Food. The toaster grilled cheese is pretty awesome too. Fun, bold, simple, and oooh — what if the baubles were crocheted? :D Lovely inspiration from The Beautiful Mess. Not a pattern, but we can simply appreciate its awesomeness. 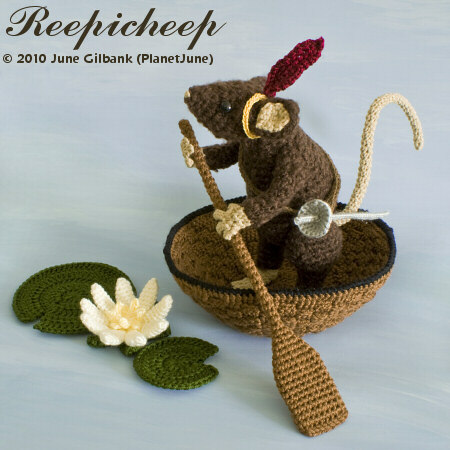 By crochet master June Gilbank. I think that Peter Pan collar would look very nice on you. But definitely the dress. 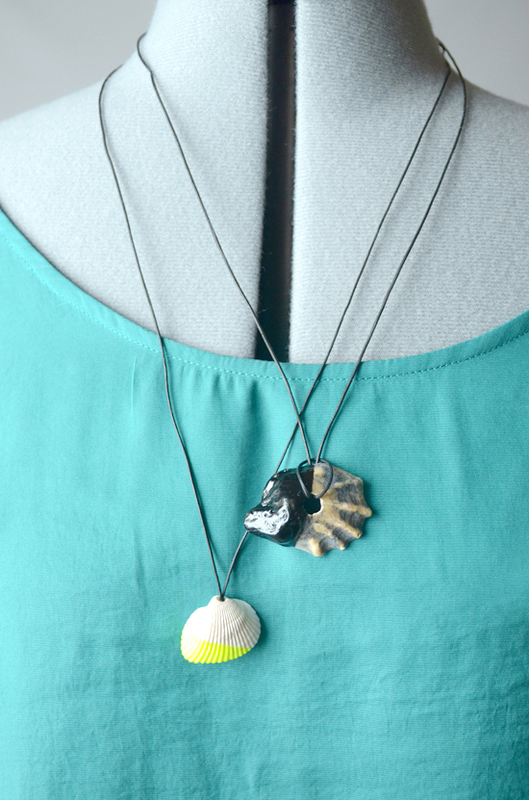 With the shell necklace :-).